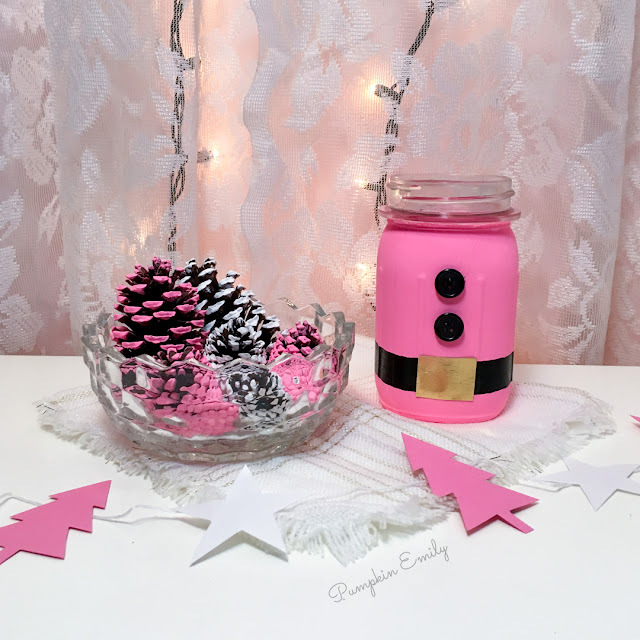 In the video I'm going to show you how to make three pink holiday room decoration ideas. I'll show you how to make a Santa mason jar, a tree and star banner, and how to make painted pinecones. 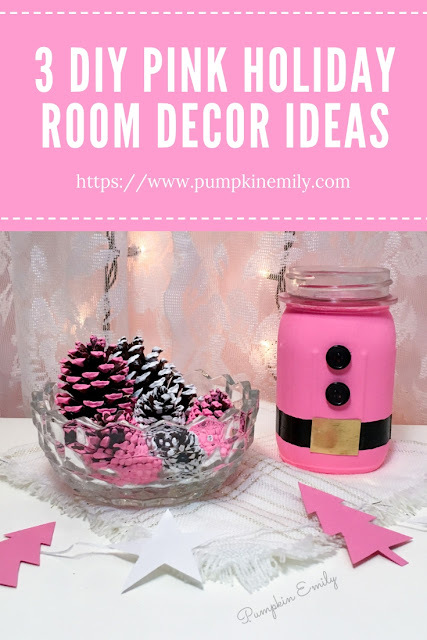 These make great DIY Christmas room decorations and they make great winter room decorations too! If you're not into pink Christmas room decorations you could totally make these in traditional colors instead. Which DIY is your favorite? I can't choose! I love how all three of them came out! You can watch this video to learn how to make these! 1. 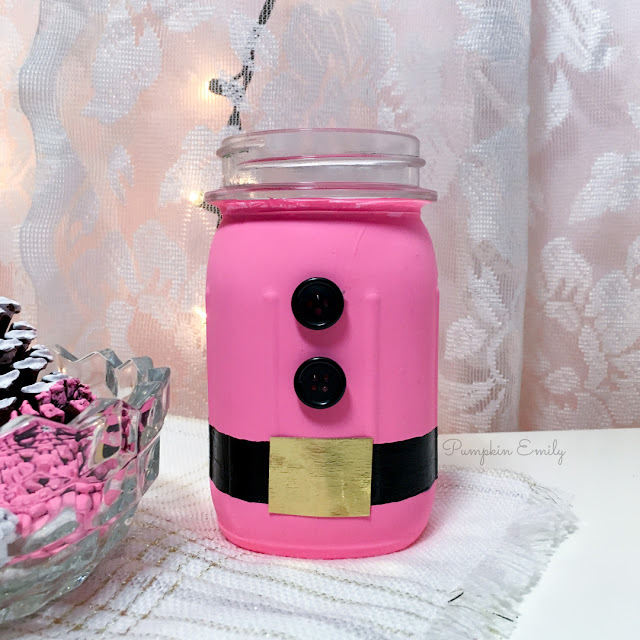 Lay down a piece of paper so you don't get paint onto anything and then you want to paint a jar with one or more coats of pink acrylic paint and you want to wait for the paint to dry. It will be easier to use a jar that's smooth but a jar with writing on it does work. 2. Once the paint is dry you can paint on a belt with black acrylic paint. You can either draw on the belt first before painting or you can eyeball it like how I did. 3. 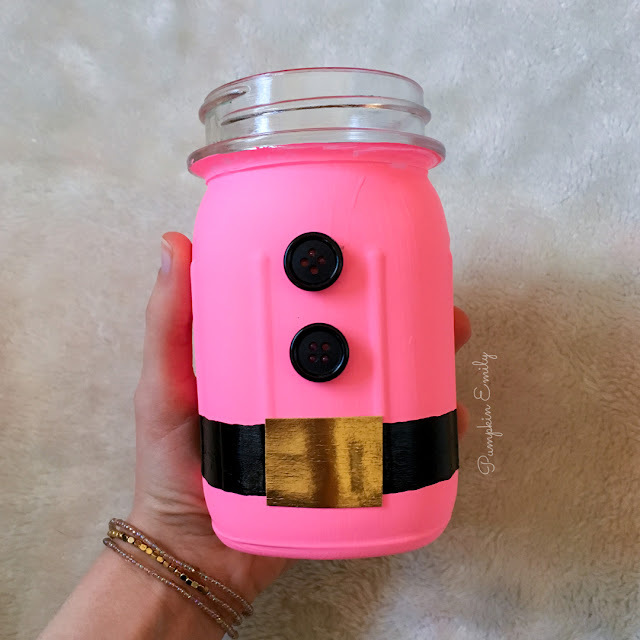 When the paint is dry you can lay out about two buttons above the belt that's on the smoothest part of the jar and then you can cut out a belt bucket out of gold or another color of cardstock paper and lay it on the jar or you can paint the belt buckle on instead. 4. Glue on the buttons with hot glue and you can glue the belt buckle on the jar with Mod Podge. 1. 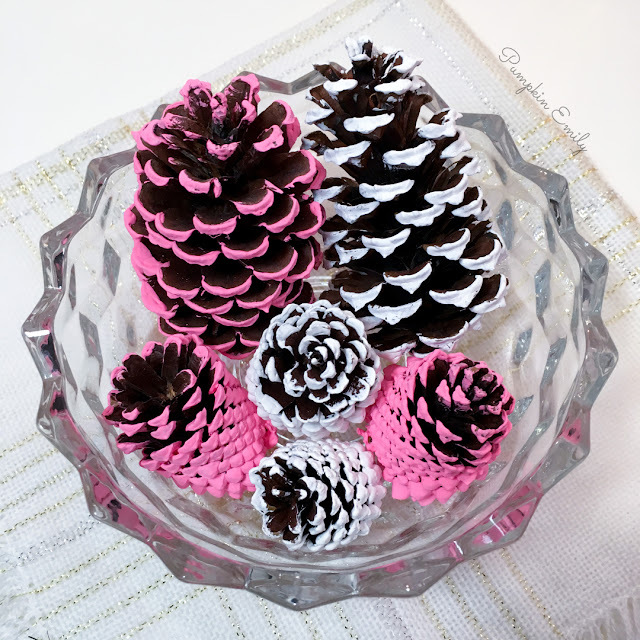 Paint some pinecones with acrylic paint and when you're done painting your pinecone you can lay it down on a piece of parchment paper or something else and wait for the paint to dry. 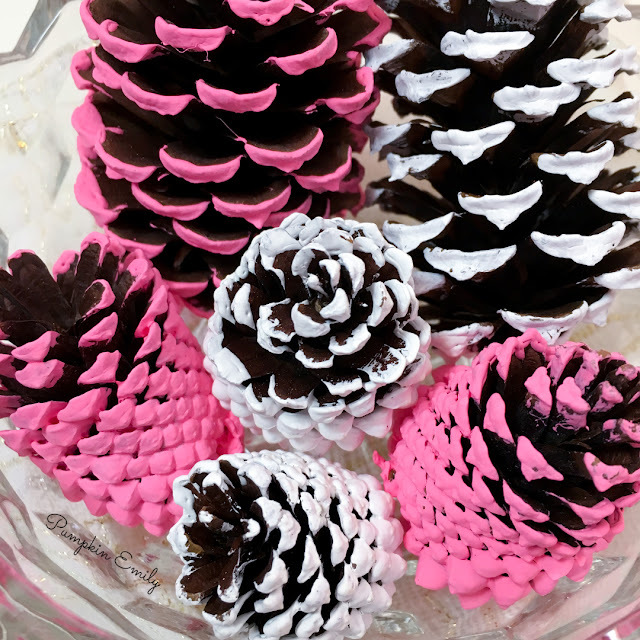 I painted my pinecones pink and white but you can paint all of your pinecones pink or another color. 2. Once the pinecones are dry you can stick the pinecones into anything you want like a bowl or a vase. I put mine into a bowl. 1. 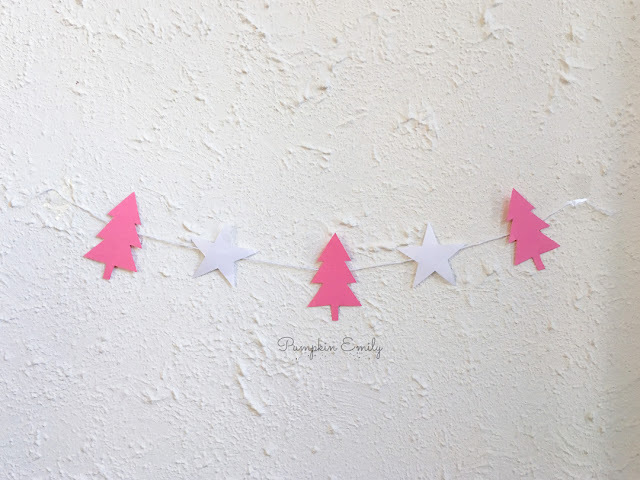 Draw or print and cut out a tree and star template and then you want to trace them onto white and any shade of pink paper or you can make the trees and the stars the same color. 2. Cut all of them out. 3. Lay them out the way you want them to be on your banner and then you can tape them on a piece of string. I used white thread but you can use whatever you want. 4. When you're done putting them on the string you can put it anywhere you would like. I taped my banner on a wall.